Roselyn L. Friedman, Esq. is an attorney with more than 30 years of in-depth legal experience and a mediator with 15 years of conflict resolution experience, concentrating in probate, trust and estate, elder (including guardianships), adult family, premarital agreements, and family business matters. She understands the broad array of issues which arise in these types of matters, and is skilled at dealing not only with the tax and legal aspects but also with helping clients fulfill their personal planning goals. In 1977 Roselyn began her career as an attorney in the trust/legal department of The Northern Trust Company, before joining the trust and estate department of Rudnick & Wolfe (now DLA Piper) where she practiced as an associate and then a partner for 16 years. She subsequently practiced as a partner in the law firm of Sachnoff & Weaver, during which she chaired the estate and trust group for a term of years. Roselyn is a fellow of the American College of Trust and Estate Counsel (ACTEC). 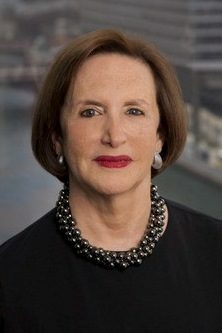 She is a member and past chair of the Chicago Bar Association Trust Law Committee and of the Professional Advisory Committee of the Legacies and Endowments Committee of the Jewish Federation of Metropolitan Chicago, a member and past director of the Chicago Estate Planning Council, and a member of the American Bar Association. In addition, Roselyn has trained extensively in conflict resolution, including advanced training in estate and trust and elder mediation. She is approved as a mediator in the law, chancery and probate divisions of the Cook County Circuit Court, in the DuPage County Circuit Court, and as a probate mediator in the Lake County Circuit Court, and is a member of the American Arbitration Association Mediator Roster. For more information visit www.rfmediation.com. Sophisticated estate planning including family partnerships, generation-skipping tax planning, qualified personal residence trusts, grantor retained annuity trusts, intra-family sales and insurance planning. Charitable planning, such as the establishment of private foundations and charitable lead and remainder trusts, with respect to both tax issues and establishing a charitable legacy. Advising trustees and executors in all aspects of their fiduciary duties. Representing taxpayers in estate and gift tax audits resulting in millions of dollars of tax savings. Representing family businesses, particularly emphasizing the tax and personal aspects of succession planning. Settling disputes, referred by the Court or attorneys, at various stages of estate and trust administration. Facilitating discussions and resolving family disagreements about the care and legal status of an aging parent, with the goal of preserving the parent’s dignity and autonomy while avoiding unnecessary court-intervention. Mediating and resolving family business disputes when tension and feuds interfere with business operations as well as family harmony. Mediating trustee-beneficiary disputes over administrative and substantive matters, thereby avoiding the costs and delays of litigation. Speaker for the Chicago Bar Association Continuing Education Program; Illinois Institute for Continuing Legal Education; American Bankers Association Advanced Program for Trust Professionals; Family Firm Institute; ALI-ABA 2011 Advanced Course of Study on Representing Estate and Trust Beneficiaries and Fiduciaries; American Bar Association Section of Dispute Resolution 15th Annual Spring Conference; and 2014 Annual meeting of the American College of Trust and Estate Counsel.